We are committed to providing the highest quality clinical care and personalized service in a warm and compassionate atmosphere. Our doctors and staff enjoy getting to know each patient and their families, and love creating relationships that last multiple generations. Your beautiful smile starts here! There are no assembly lines here! 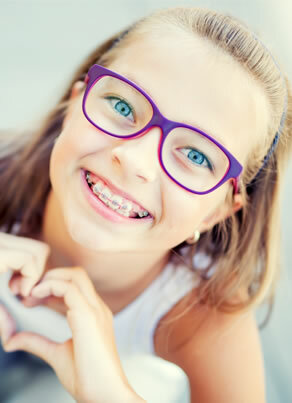 Our patients see their orthodontist at every single appointment. We believe in providing optimal treatment results, but recognize that the experience of orthodontic treatment is crucial, too. That’s why we customize treatment plans for each individual and each family's goals and expectations. Being clinically competent and providing advanced infection control are standards that we strive to exceed with the newest technology and techniques. We are especially attentive to everyone's individual needs, and do our best to be helpful with insurance, flexible scheduling, flexible payment options, and any special needs that our families and patients have. Parents and patients will be reassured by the level of expertise of our friendly and highly experienced staff.